World Health Organisation publications such as the Ottawa Charter and Closing the Gap in a Generation: Health equity through action on the social determinants of health, along with policy experts and health researchers argued for more concerted action to address health inequity by giving due consideration to the social determinants of health. In Australia, a number of groups have been working to see such action undertaken. Governments are also taking action, for example in South Australia'sadoption of a Health in All Policies approach. During 2012, work has been done in Tasmania to develop a similar approach. Research recently conducted in Australia has shown that failing to act on the social determinants of health means hundreds of thousands of people are needlessly suffering long-term health problems. The 2012 CHA/NATSEM report Cost of Inaction on the Social Determinants of Health shows that, over time, there could be billions of dollars saved in health and welfare costs, reduced unemployment and improved productivity if governments adopted the recommendations of the Closing the Gap in a Generation report. The Alliance's broader hopes for action on the social determinants of health are included in this submission, lodged as part of the Senate Inquiry into Australia's domestic response to the World Health Organisation's Closing the gap within a generation report. SDOHA welcomes the opportunity to provide input to the Senate Standing Committees on Community Affairs (the Committee) current inquiry on the extent of income inequality in Australia. The recent Parliamentary Inquiry and recommendations in relation to Australia’s domestic response to the World Health Organization’s (WHO) Commission on Social Determinants of Health report “Closing the gap within a generation” (Community Affairs References Committee, 2013) is a step in the right direction for progressing the Social Determinants of Health agenda in Australia. 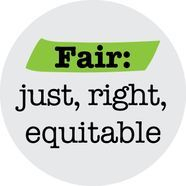 However we would like to remind Senators that the Committees’ report made recommendations in the March 2013 response that, if implemented, have the capacity to progress equity and provide architecture for government coordination of equity outcomes. Click here for full submission.